Honeywell first approached Inception Strategies to produce a video that would assist employer branding and help to promote Honeywell as an organisation of choice. After producing the video, we went back to Honeywell and asked if they minded if we also produced a smaller version of the promo that was designed specifically to appeal to emotions. After approval, we produced the following 50 second short promo. Evaluation: Honeywell reported a spike of enquiries to their graduate program following the release of the videos on their corporate site and youtube. 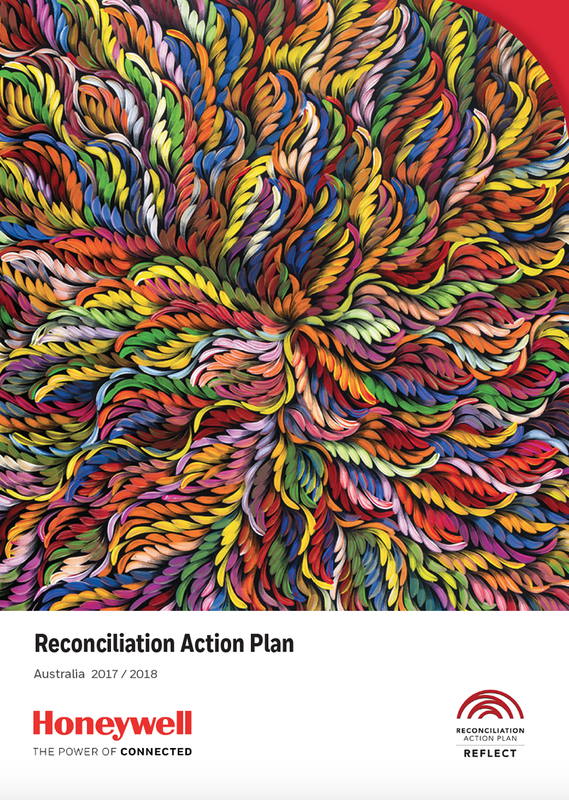 Honeywell later approached Inception to assist with the branding and graphic design of their Reconciliation Action Plan. We spent time with Honeywell profiling a range of purchased Indigenous artworks from our private collection. A chosen artwork was then used to inform a branding process that provided Honeywell with a range of options for their Reconciliation Action Plan brand identity. We then worked closely with Honeywell to deliver the final design for their Reconciliation Action Plan that included an Indigenous artist acknowledgement and bio.